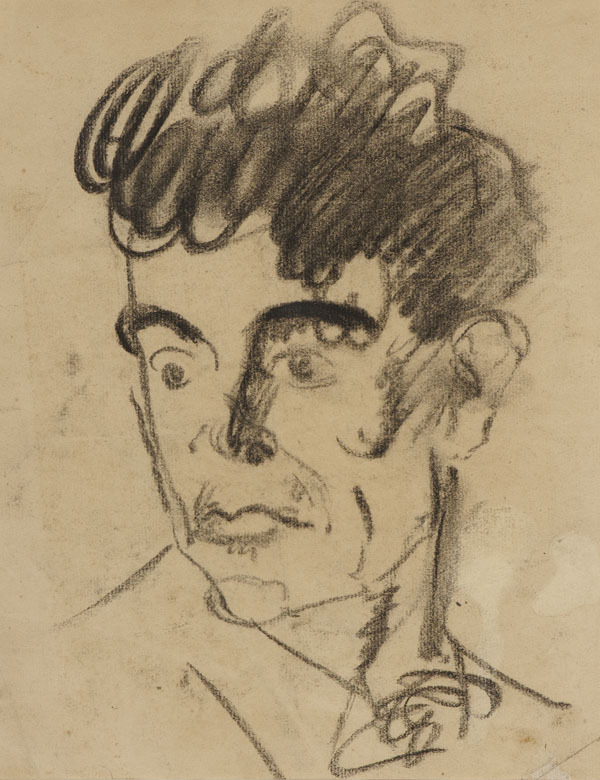 Max Heimann was born in Berlin in 1909 and studied under Emil Orlik, and later under Arthur Segal, also teaching art at a Jewish school in Berlin, before moving to Shanghai, where he remained until 1945, teaching private pupils and, prior to the Japanese occupation, maintaing a successful career as a portraitist. After the war, he married and immigrated with his wife to the USA, settling in San Francisco in northern California, where he taught privately. 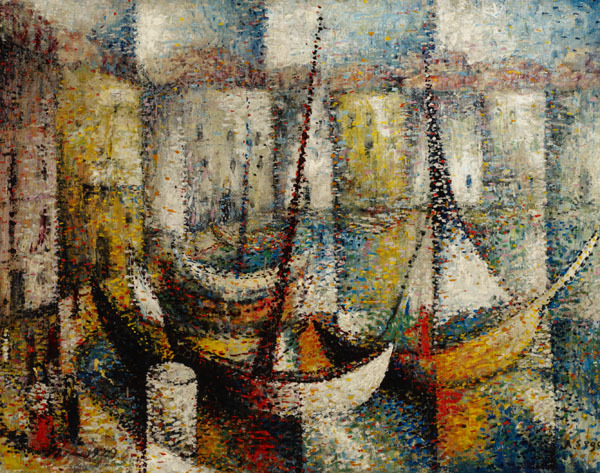 He had a solo show at the H. M. DeYoung Museum and, after his death in California in October 1953, a posthumous retrospective was also mounted there. Heimann painted portraits, street scenes and many still-lifes often with a sense of heightened realism and was asociated with the "new realists" group of painters. Heimann painted portraits, street scenes and many still-lifes often with a sense of heightened realism. 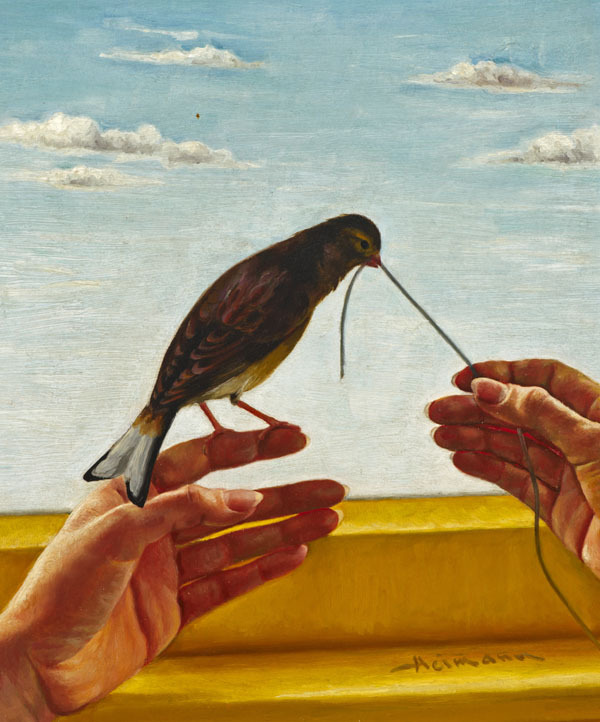 Here, the little bird pulling the string taught, seems to be in control, while the much stronger human hand loosely grips the other end. Somehow, human and bird both look comfortable in this scenario.